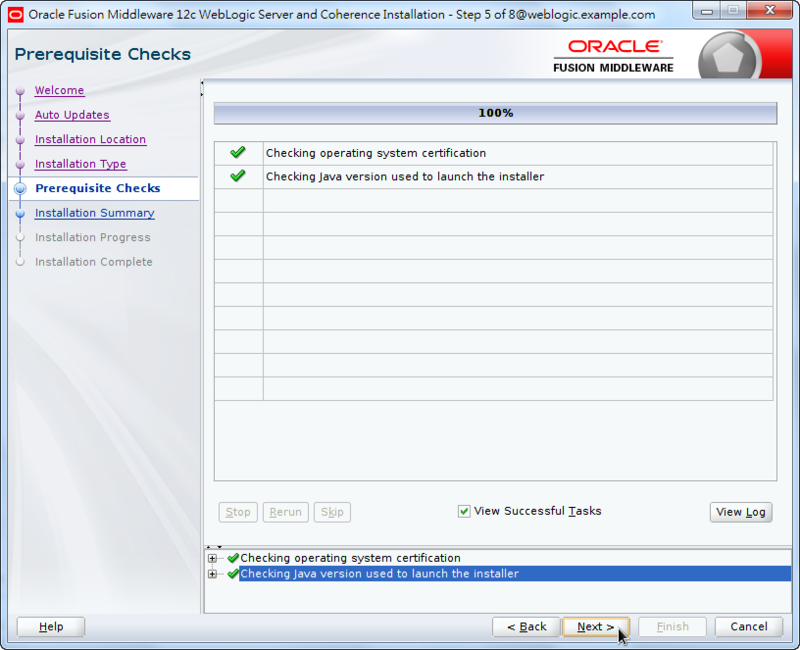 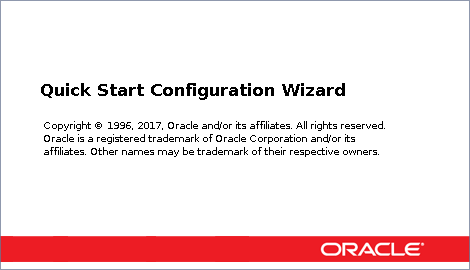 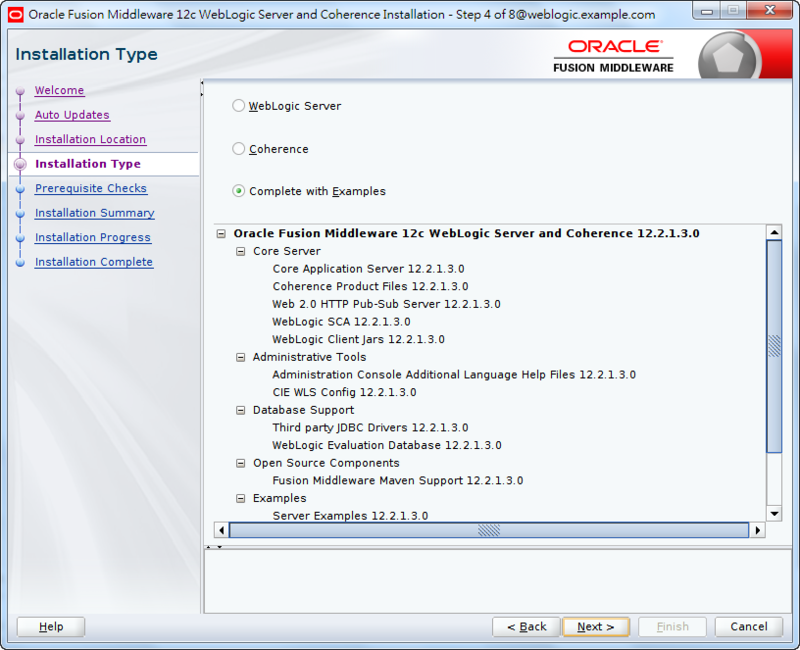 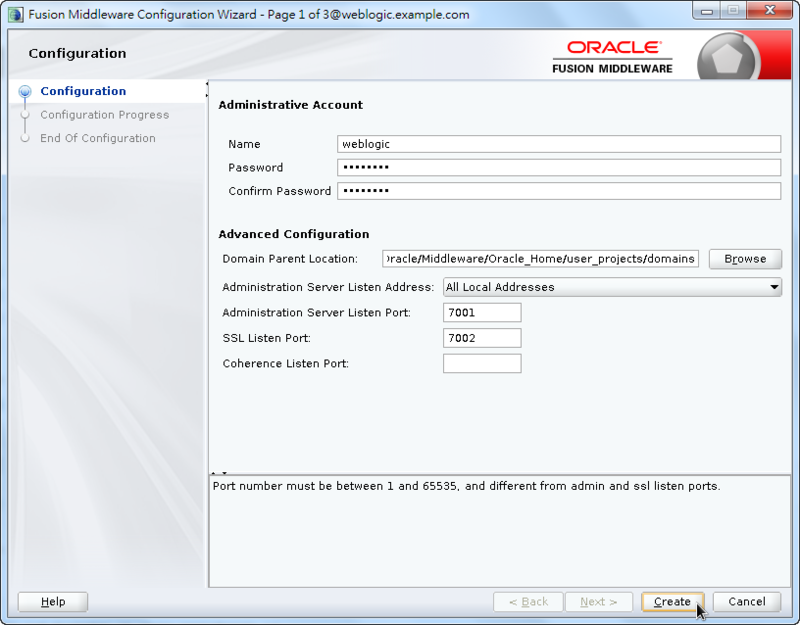 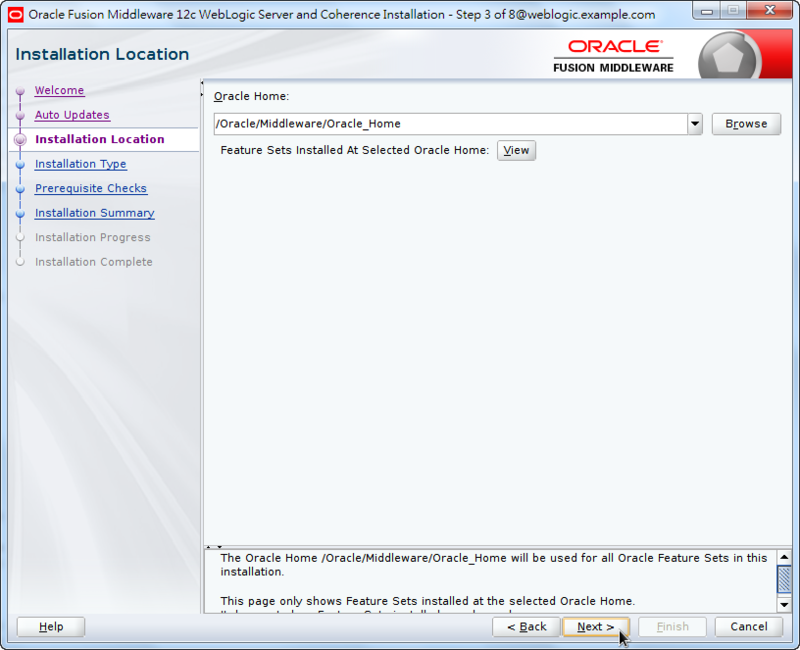 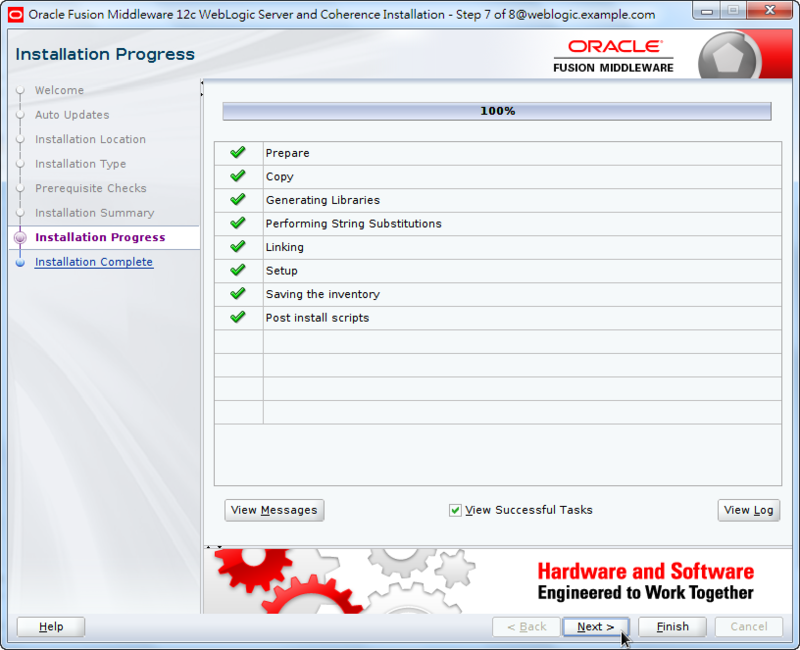 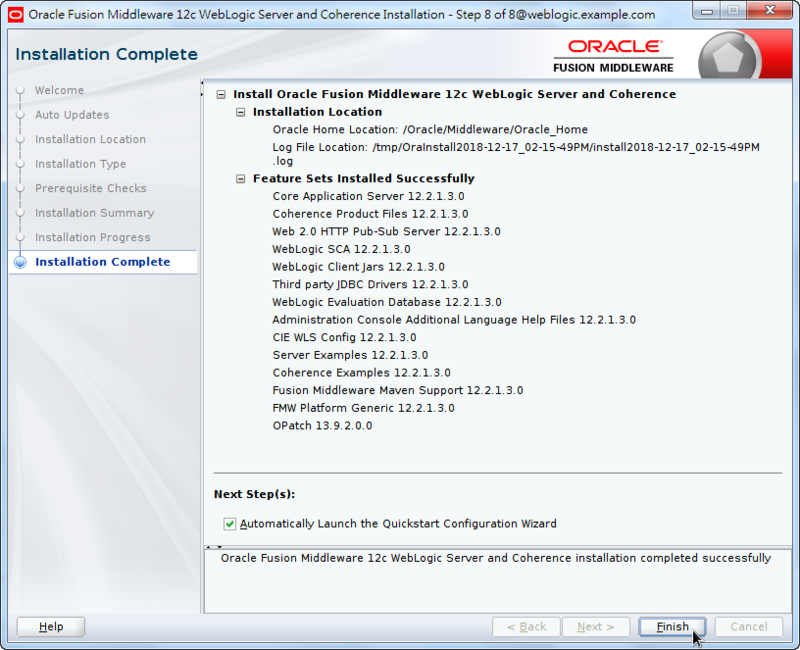 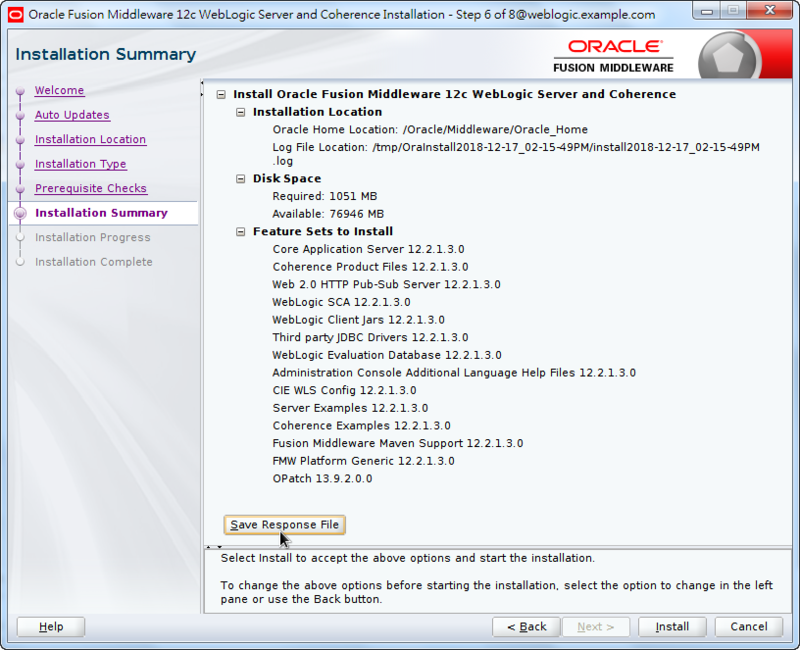 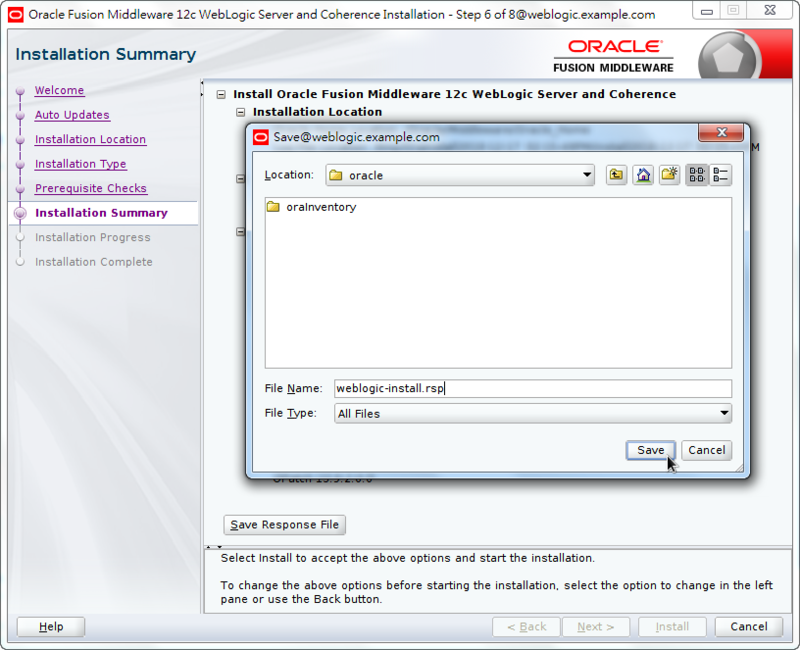 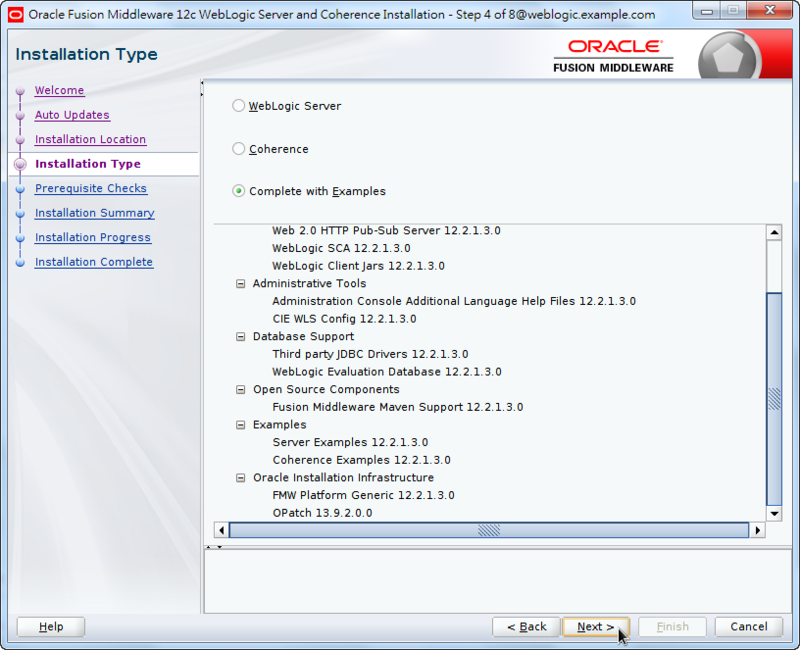 The generic installer of Oracle WebLogic Server 12.2.1.3 can be downloaded from Oracle Technology Network. 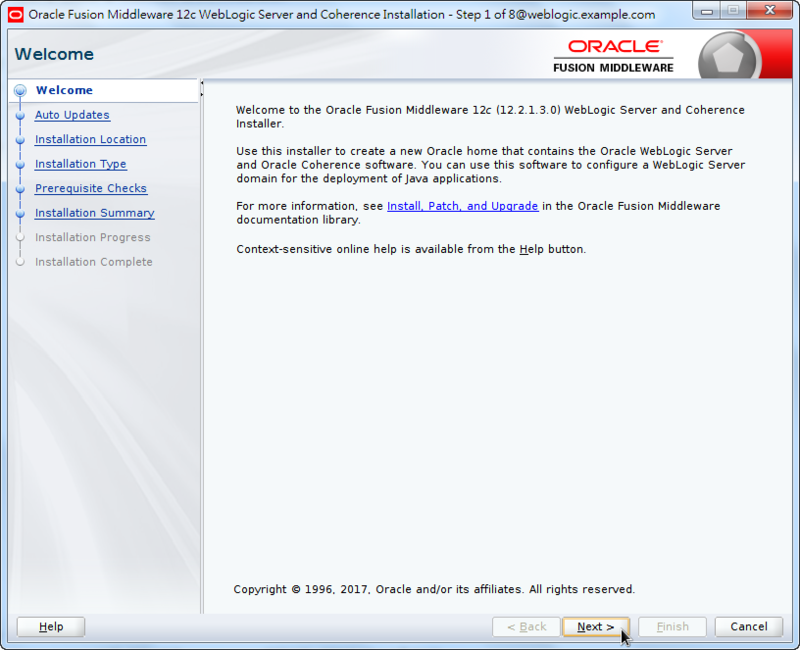 As for JDK, you have to note that, openjdk is not useful. 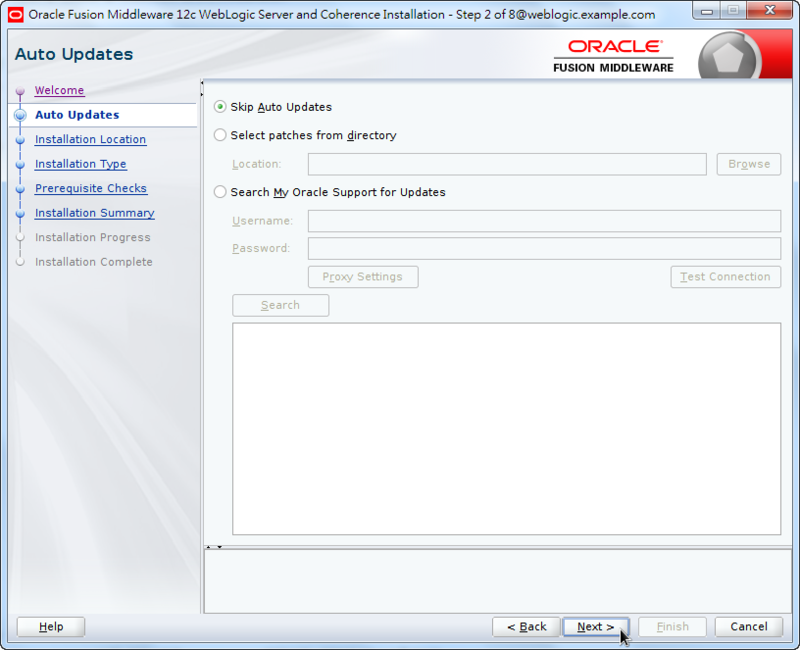 You have to download it from Oracle Java SE Development Kit 8 Downloads, the official Java download site. 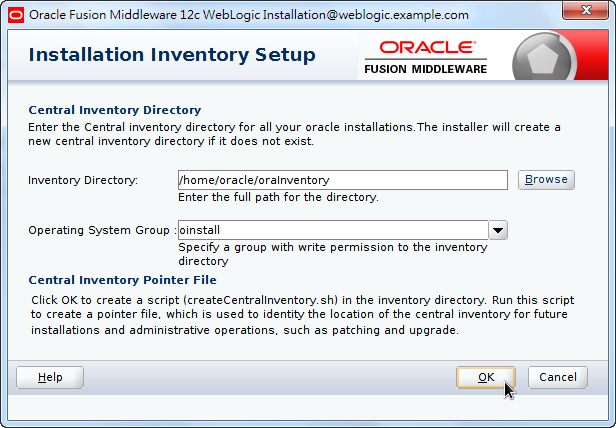 [root@weblogic ~]# yum -y groupinstall "X Window System"
The most important file is a JAR file, fmw_12.2.1.3.0_wls.jar. 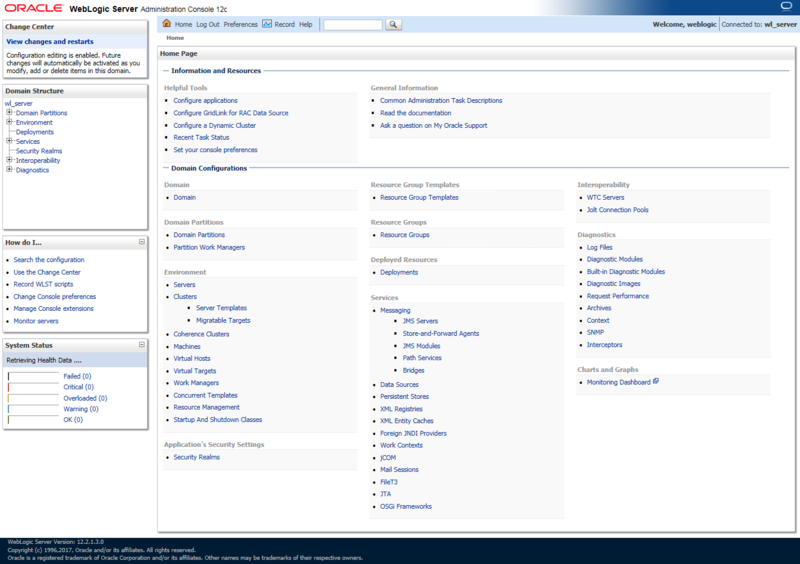 About 10 minutes after starting WebLogic, please open http://weblogic.example.com/console which is the URL of our WebLogic server administration console in browser. 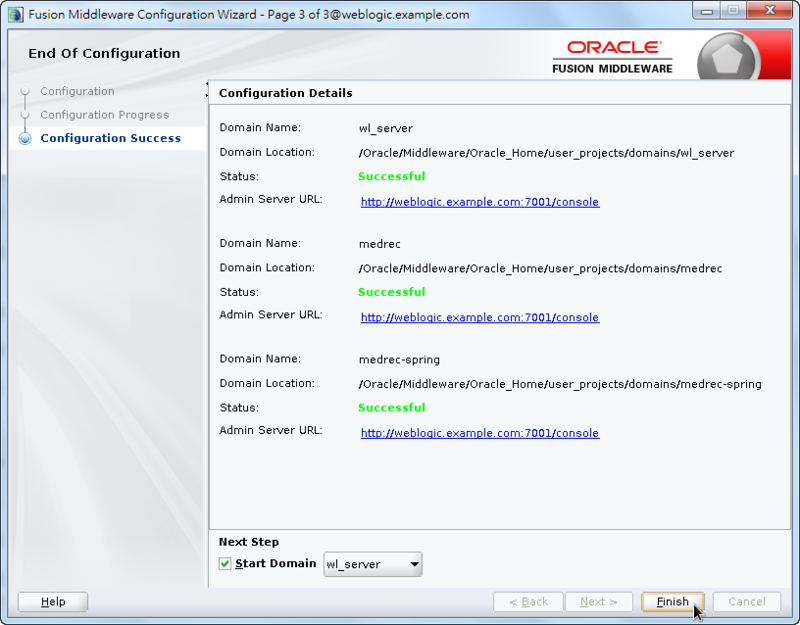 Further reading: How to Patch WebLogic Server.